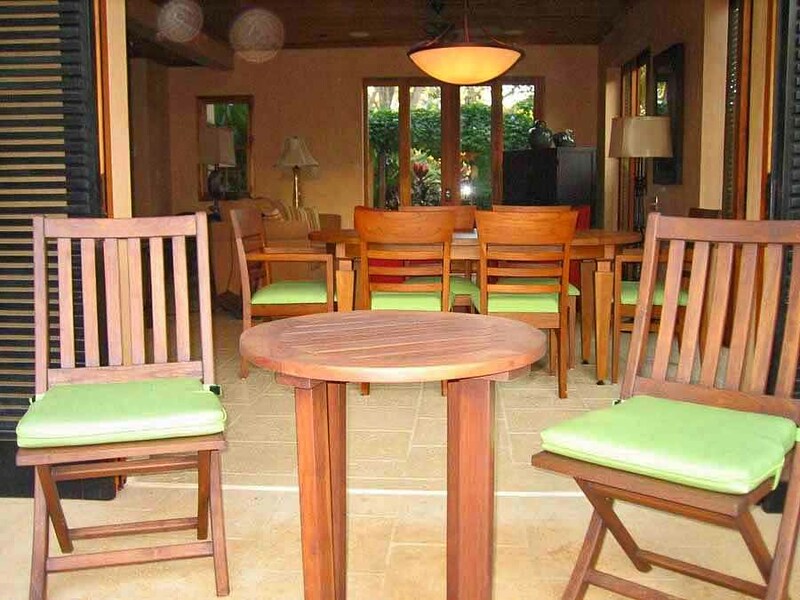 COLIB2 - Casa Colibri, located in Tamarindo’s “The Point”, offers direct access to the white sand beaches of Playa Langosta and Playa Tamarindo and is part of the Tamarindo Preserve development. 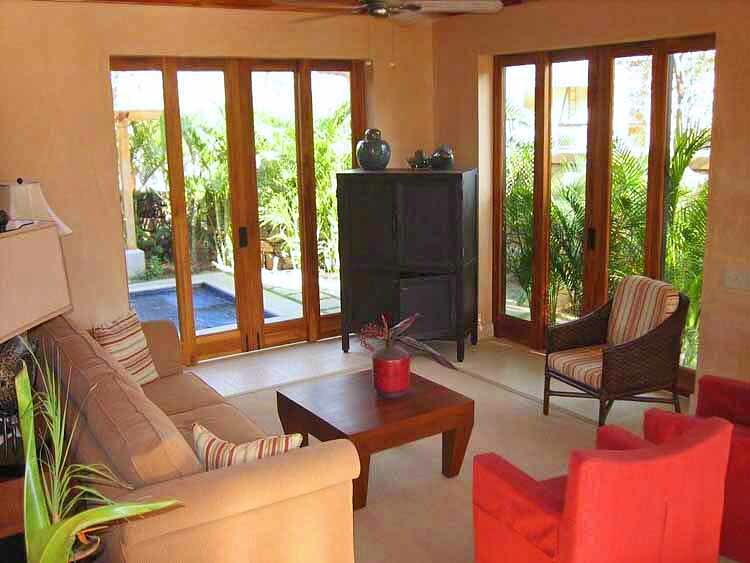 Completed in 2009, Casa Colibri, is a 2 bedroom, 2.5 bath, two-story hillside villa with its own private pool, offering its guests the finest finishes and furnishings in a tropical setting. The first floor consists of living room, dining room, bath, fully equipped kitchen with stainless steel appliances and granite counter tops, and a blue-tiled pool. 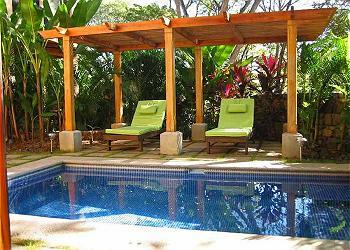 The outside barbecue/patio area is adjacent to a private park with native fruit trees and tropical plants of Costa Rica. 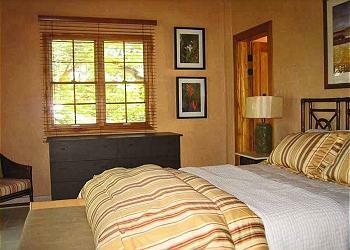 The second floor offers two bedrooms with private baths and walk-in tropical showers. Each of the bedrooms has a private balcony that looks onto the lushly landscaped courtyard, patio and surrounding areas. 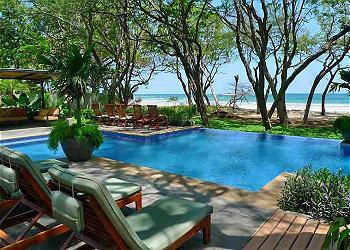 A three minute walk down the narrow road just north of Casa Colibri is Playa Tamarindo - a beautiful white sand beach. Next to the beach, off the public pathway you will find Capitan Suizo, a small boutique hotel where you can enjoy an al fresco meal overlooking the surf, beach, and beautiful sunsets. 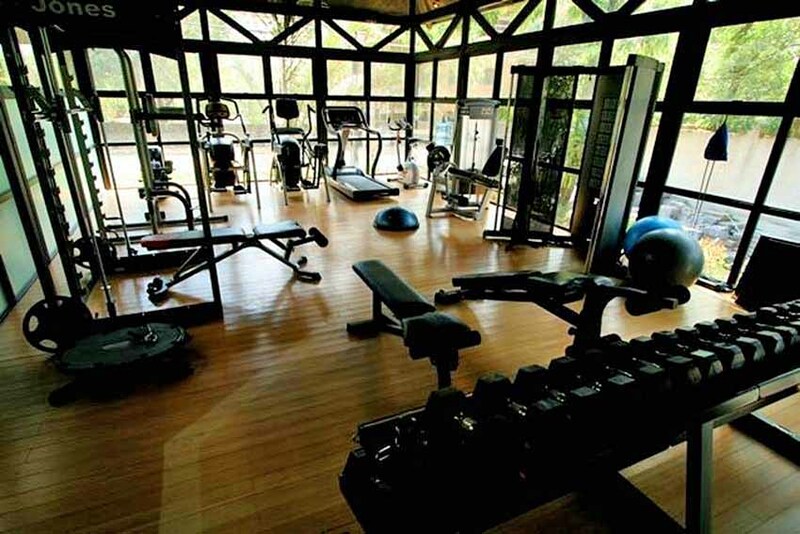 Additionally, s part of the Preserve Project, you enjoy free access to their beach club and gym, just a short 3 minute walk down the road. The gym is has state of the art equipment and the pool area, just a few steps from the beach, is stunning. It’s a great place spend time – and it’s just a short 5 minute walk to the center of town. The center of Tamarindo is less than mile away. A leisurely walk down Tamarindo’s famous beach will get you there in 15 minutes. 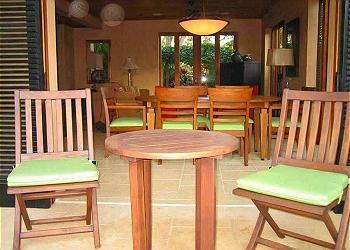 There you’ll find restaurants, nightlife, shopping and great surfing at Playa Tamarindo. In the opposite direction from town is Langosta beach. Cross the Playa Langosta estuary and you will find miles of pristine beaches. We arrived late but we were able to get our keys and instruction's from the guard across the street. It's a good thing we are familiar with Tamarindo because this property is tricky to find but written instructions were good. We heard construction constantly which is out of everyone's control but we got tired of it. We loved the splash pool, and the family of raccoons that came every night. Giovanni the gate guard is the BEST! We will miss seeing his great smile. Response:Thank you very much for the review and am so glad you enjoyed your time. We hope you will come back and stay with us again. We believe much of the construction happening in the area will come to completion the early part of the year. Comfortable. Well equipped, quiet location. Our stay included membership at a great beach club that offered swimming and dining on the beach. I would highly recommend this rental. Response:Thank you so much for the great review. We are so glad you had a great time. The beach club is a great addition for this property and are happy you were able to enjoy your time there. We hope to see you again soon. We loved the house itself and the employees who work for RPM are lovely as well as the cleaning lady. There are one minor complaint. The home has a private pool but it was not clean. Since the property is surrounded by beautiful trees, it really needs to be maintained more than once a week. We arrived on Monday, and it was not cleaned until Friday. The house is an enjoyable 10-minute walk on the road or on a rocky beach to the beautiful beach at the Langosta Beach Club, which has a gorgeous pool, bar and grill plus a nice fitness facility. Their drinks are quite expensive compared to the other establishments nearby. Response:Thank you very much for the review and feedback on the wonderful house. Regarding the pool, the gardener should have come at least one other time earlier in the week (typically early around 7am) to skim/clean the pool but sometimes when it is very windy the dust and leaves it quickly becomes full of leaves/dust again. I am following up to make sure this is happening and make sure when it is windy we stop by more frequently. Thank you again for the feedback and we hope to see you again. We loved the house. It was extremely comfortable and had some nice high-end touches, e.g. the wood doors/trim. It is roughly a half-mile walk to the beach club so it was nice to have a car. We really enjoyed the house, the surroundings. The security workers at the gate were wonderful - especially Giovanni. We were a little misled by the pictures expecting beachfront, however the walk to the beach was not an unreasonable distance. Response:Thank you for your review. We are glad that you enjoyed your stay in Tamarindo! We hope you will come and visit us soon. 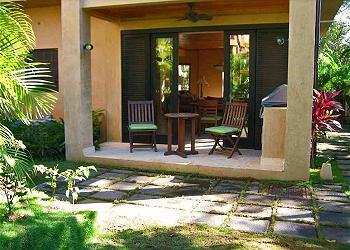 This was a nice villa located in a desirable location that was not far from the beach. 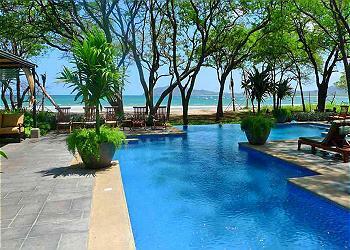 We loved the Langosta Beach Club pool and their beach access that this villa has access to. It was a bit of a walk to the beach club though. There were some ants along the living roon entry the first night. They were gone the next day after we sprayed them. The pool was lovely and cold! There is not a king sized bed in the master bedroom, it's definitely a full or a queen at most. We stayed for 5 nights and we would rent again. Response:Thank you for your review. We are glad your stay went smoothly. We hope you can come back and visit us soon. I love the house. 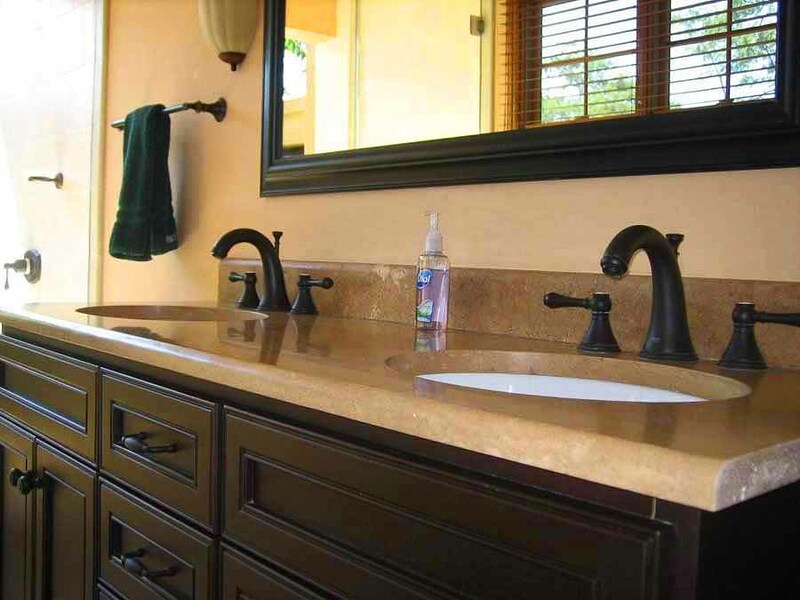 The open bathroom concept is amazing. We had a car so the location was not an issue at all. The sewer smell was expected based on previous reviews. The smell comes and goes at random times. Still a great place to stay. We contacted maintenance a couple of times, first bc the safe was beeping and second bc the grill wasn't working. At both times we had somebody taking care of it in a timely fashion. Great customer service, even from the gate guards. Response:Thanks so much for the review and so glad you had a great time. Thanks for the feedback on the house and the services as well. We look forward to having you visit again. Response:Thank you so much for the fantastic review. This is a great place to stay and hope you come again! The personnel at RPM were extremely helpful and responded to our issues that were in their control promptly. The property does not have beach access and you are required to walk 1/2 mile to the beach club on a dusty road to get access at the Beach Club--very nice facility. Our frig was not cooling properly and had to be repaired the day after we got there. There was a problem with ants and other bugs. However there was spray. The sliding doors do not have a track at the bottom, so insects can go under the door. The furnishing were as represented and overall the accommodations were nice but did not equal the value paid. The master bedroom has a queen bed which was tight when you are use to a king bed. Response:Thank you for the review and additional details. We hope you will come back and visit us again. on the tours that were available and the restaurants were all fantastic! Response:Hi Renee - I'm glad you enjoyed the house and want to come back! I'm sorry you thought the description of how close the beach club wasn't clear but it is less than half a mile away I believe (maybe even less if you walk on the beach!). We look forward to seeing you again soon! Our rental experience renting with tropical vacations was great. Excellent communication which included clear directions to their office in Langosta Beach. We arrived at their office at 2pm and were given the keys. We loved the villa and location. Just a very short walk along the main road to Langosta Beach club, where we spent two days enjoying the beach and pool. Perfect size for two couples. Decor and amenities were perfect. We rented a car, which is recommended, since the walk into town to enjoy restaurants is along a dimly lit road. Response:Hi Elizabeth - I'm so glad you had a good experience! We'd love to see you again in the future. Wow, what a great vacation! We stayed at this RPM Vacation Rental Property in January. Our first visit to Costa Rica had high expectations, we never heard anyone say a negative thing about their trip. And the visit certainly exceeded those expectations! Starting with the hassle free plane and rental car trip to get to Tamarindo, we were greeted by a friendly staff who had all the answers for our questions. 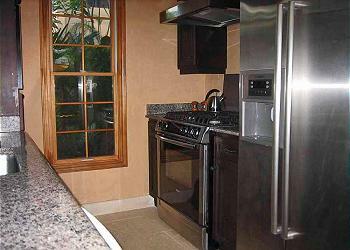 The property was clean, comfortable and well-managed. The management and staff were professional and honest, they even found and returned precious valuables that were accidentally left behind in the unit. Access to both gorgeous and unique beaches from the Tamarindo Preserve was a short walk from the house. The local population could not have been friendlier and the fresh food and relaxed lifestyle added to what turned out to be one of the best vacations ever! Response:So glad you had a great time! We hope to see you again soon. The home was wonderful and was exactly how the pictures look. It was extremely quiet and peaceful. It was clean and well maintained. The maid and pool maintenance guy showed up several times during our stay. Most importantly, the service from RPM and the people associated with them was outstanding. Lola responded to all our needs promptly and reassured us for all our minor concerns. We had a minor issue with the safe failing. The response form RPM was top notch. The owner Kevin showed up first thing in the morning to take our valuables to his own safe for security and they tried to replace the safe before we returned for the day. At our request, they waited so we could be present when the safe was replaced. They were so accommodating! Finally, Lola arranged our air transfer with a local tour operator Jose from Pelicano Tours. We were a little skeptical that things would be smooth when we arrived as we were arriving late in the evening. Jose was waiting for us immediately as we came out of the airport so we could see him. He brought us to a store to buy some cold beverages and delivered us to the vacation home safely and quickly. He also took us on a couple of tours during our trip. He was prompt, efficient, informative and added to the fun of the tours with his colourful personality. When he could bot accommodate us as he was already booked, he found us someone who could take care of us. We will definitely return! It feel like we have left friends not acquaintances in Costa Rica! Thank you for making our stay special! Response:So glad you had a great time and thanks for the great comments. We hope to see you again next year! Lovely unit. A little far from town. 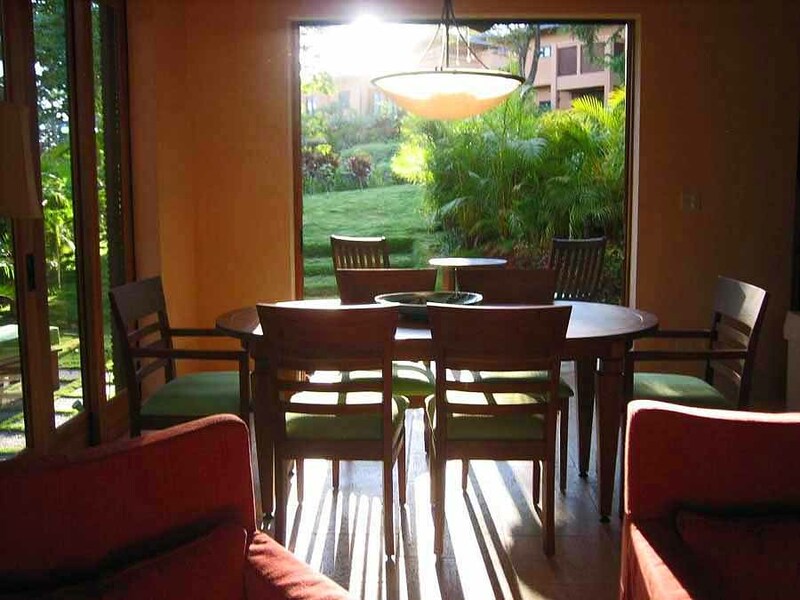 Casa Colibri 2 is in Tamarindo Preserve, which is halfway between Hotel Capitan Suizo and Cala Luna, and more than a mile from shops and restaurants of Tamarindo. The picture shown is from the pool at the Langosto Beach club, which was a very nice way to access both the beach and have a family swim. 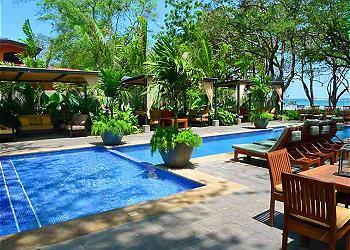 The beach club is several hundred meters from the property. RPM was terrific to work with, and the Casa Colibri property is absolutely lovely and very well-appointed. 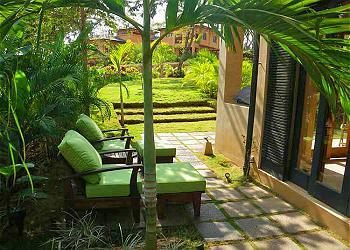 Just be prepared for a long walk most anywhere that you will want to go in Tamarindo. Response:Thank you for the review and feedback. We are glad that you found Casa Colibri in great condition and thanks for the feedback on our staff. We hope you will come back again. If you don't mind walking, perfect place to stay! 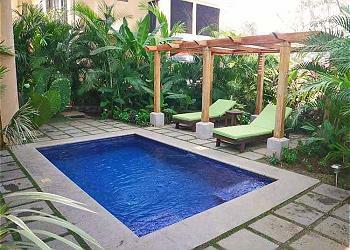 We booked Casa Colibri 2 all online but were very pleasantly surprised that the house was even better than the photos! And RPM were great agency and also booked us fabulous tours. We had no car, so it was a bit of a walk to the beach or a store or Tamarindo, but we didn't mind. Others might find the location rather inconvenient.